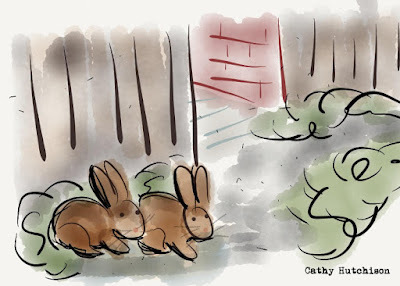 My neighborhood is full of what John and I call the "alley bunnies." 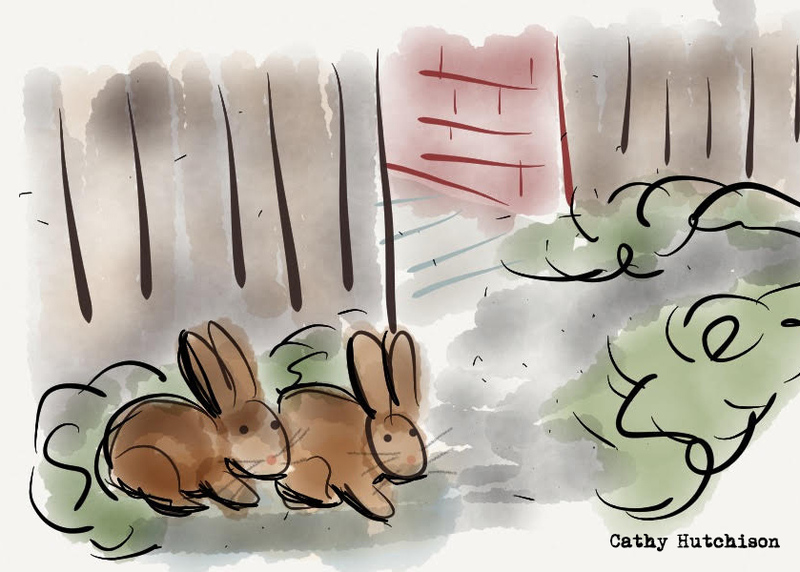 The cottontails come out at dusk and dawn feeding on the clover in suburban lawns. I think they are beautiful. Ears twitching. Noses wiggling. The flash of a white tail when they are startled. In short, the bunnies delight me. Yet, I heard a neighbor talking about the bunnies as a great nuisance. They poach from his garden. They are everywhere. They need to be eradicated. How can two people see such completely different things? Is it because we've had different experiences with the bunnies? Maybe. But I think the more important issue is the elements we focus on. We choose if we see something delightful or annoying. We choose if we see an opportunity or something new to be avoided. We choose if we see something hard or something worthy of our effort. We choose what we see. Hi, I'm Cathy Hutchison. This is my personal blog which is my playground for the topics that make our lives more beautiful, open, effective and real. My personal mission? To help people find joy, meaning, and freedom in a world of demands. PODCAST INTERVIEW | Tired of Food Stress? Lose the label. ©2015 Cathy Hutchison Use allowed with credit and link to original.. Powered by Blogger.